I love exploring cuisines and I love to cook from books. So when the hosts of Food of the World decided to travel to Mexico, I picked up a couple of avocados, a pineapple and some jalapeño peppers from the grocery store, a copy of The "I Do Not Know How To Cook" Book Mexican from the library, then flipped through the pages of the book to find a match for the ingredients in hand. Huh ? Does that sound a weird ? Anyway. So I spotted this Carrot Chili Pepper Salad, featuring two of the ingredients I had picked and was half-way through the preparation when I got the bright idea of adding some quinoa to my bowl of fruits and veggies. No sooner than I had conceived the idea, I cooked the quinoa, tossed it into the bowl with everything else and then began to feel iffy about the cup of mayonnaise that was recommended as the dressing. Knowing pretty well what my husband's response would be, I asked him if he wanted mayo in the salad. He confirmed that he did not, which meant that a vinaigrette had to be made. While my initial whip up of olive oil, balsamic vinegar, cream of coconut, ground cumin, Dijon mustard, salt and pepper was fine, I wasn't completely satisfied with it and kept wondering what the missing bit of the recipe was until I remembered Dorie's Quinoa salad with ginger vinaigrette. Ah.. the ginger ! I now remembered how good the quinoa had tasted with the ginger vinaigrette. So I went ahead and whisked in some ginger chili sauce, then gave husband a spoonful of the salad to taste. He liked it, but added that it would taste better when chilled. He was right. The salad tasted awesome when chilled and paired with left cornbread quiche, it made the perfect meatless Monday meal ! Cook the quinoa. For that, put the quinoa in a fine-mesh strainer, and rubbing and swishing with your hand, rinse it thoroughly under cold running water. Add the quinoa to a saucepan filled with 1¼ cup of water. Stir ⅛th teaspoon of salt into the water and bring it to a rolling boil. Then reduce the heat to medium low and cover and cook for 15 minutes. After 15 minutes, turn off the heat. Drain off any liquid that is remaining, return the quinoa to the saucepan, cover and let it stand for 5 minutes. Then fluff it with fork and keep aside until ready to use. In a cup add all the ingredients for the vinaigrette, whisk them together and keep aside. Trim, peel and cut the celery into ¼ inch pieces. Remove the roots from the green onions and chop them finely. Remove the stem and seeds from the jalapeño pepper and cut it into ¼ inch pieces. 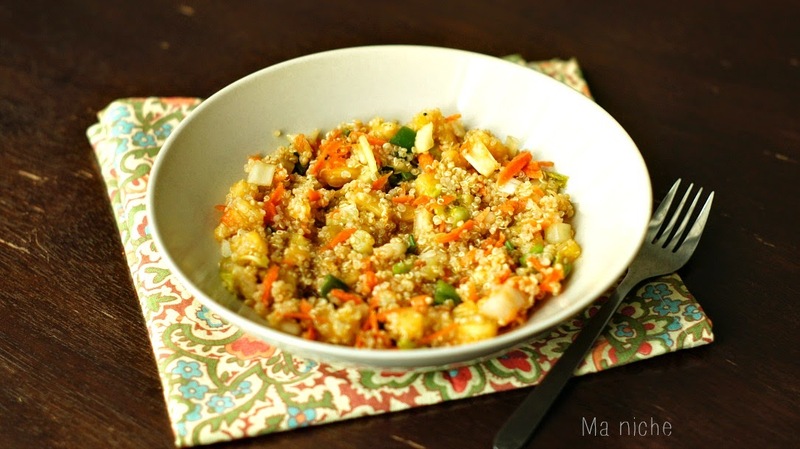 In a medium sized mixing bowl, combine carrots, celery, green onions, jalapeño pepper, pineapple, cooked quinoa and the vinaigrette and mix well. Taste and adjust the salt and pepper. Then cover the bowl and chill for at least 30 minutes before serving the salad. Since this salad is inspired by a Mexican recipe, I am linking it to Food of the World party at SimpleLiving and Eating. For an authentic Mexican version of the salad, skip the quinoa and vinaigrette and add a cup of mayonnaise to the fruits and veggies. 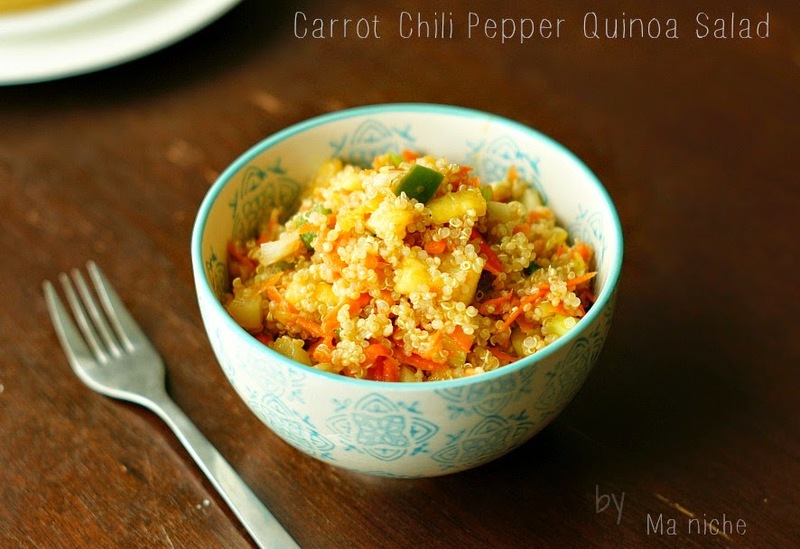 I love your Carrot Chili Pepper Quinoa Salad, what a great combination. Thanks so much for joining our Foods of The World Tour to Mexico, hope you will join in France next month. What a lovely salad, so colourful and full of gorgeous flavours. Love the addition of the ginger! 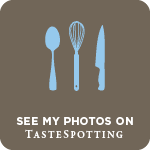 And I must admit, I sometimes look for recipes for ingredients that I have on hand...Pinned to my salads board on Pinterest. 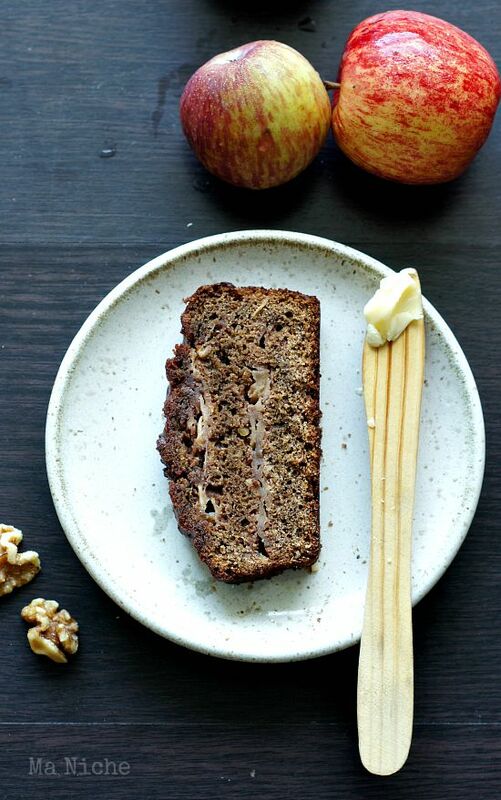 Thank you for sharing this lovely recipe with us at the Hearth and Soul Hop. I love your fusion quinoa salad. You have a great way of combining seasoning and ingredients from different cultures. I had a great time exploring Mexican cuisine too. 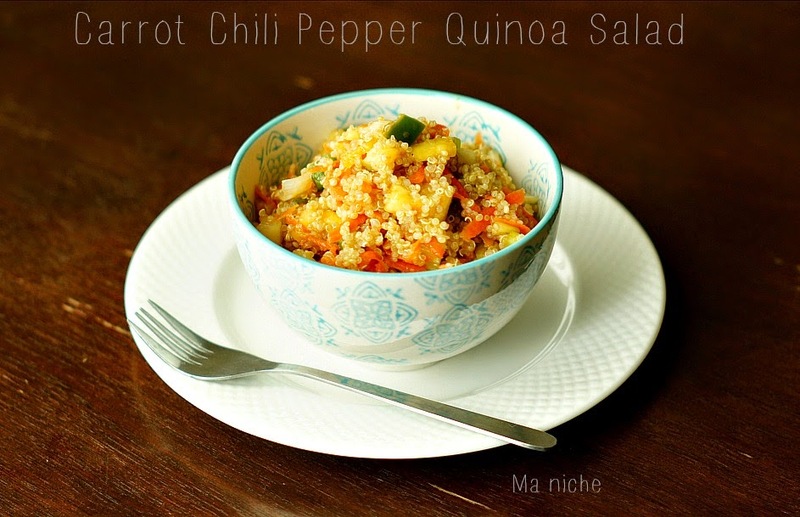 Delicious carrot chili pepper quinoa salad, thanks for sharing with Hearth and soul blog hop. Your carrot, chili pepper quinoa is a recipe I haven't see before and I'm looking forward to try it.